If your home becomes overcome by a home fire, our fire damage restoration Miami pros at 911 Restoration of Miami are the company to call to make all repairs and restore your property. Our fire damage restoration Miami specialists never want to make anyone wait for help when they are in the midst of a fire disaster, so our pros keep our office available 24/7/365, enabling us to offer you comprehensive services. To best serve you, our fire damage restoration Miami experts are standing by around the clock to schedule you an appointment to receive thorough fire damage remediation and water damage restoration services. Our crews offer comprehensive services for all urgent incidents involving fire and smoke, because our fire damage restoration Miami unit wants to get the water out of your home as quickly as possible. When fire, smoke and ash affect your home, it requires immediacy and that means our fire damage restoration Miami operation must move even quicker. Our workers also make sure to bring the latest and most advanced technology for each project. 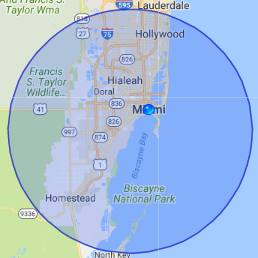 We want you to contact our fire damage restoration Miami members the moment you are confronted by a fire-based emergency, so our techs can get the process started by conducting a free home inspection as soon as we arrive. 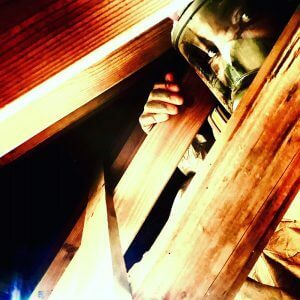 We guarantee that our workers will arrive at your home as soon as possible after receiving your call for help, that way we can schedule an appointment for a free home inspection. Home and business owners can count on our fire damage restoration Miami professionals to offer you and your property a fresh start after it has been affected by smoke and fire damage. Whenever you have fire damage your living quarters, our fire damage restoration Miami professionals know that it was most likely also going to include water damage, due to the fire hoses using water to extinguish the flames. Our fire damage restoration Miami team has many years of experience removing smoke, ash and water, which is why we make an effort to act so quickly. Once we get on the scene, our fire damage restoration Miami techs works with IICRC certified techs and will check the premises to determine what work needs to be done, that way there are no surprises later on down the line. Call our fire damage restoration Miami professionals as soon as you can after the fire department has quelled the flames and we will do whatever it takes to get your home looking better than new in no time. When our fire damage restoration Miami crew arrives on the scene we will immediately get started on renovation procedures. Your home will be filled with smoke, ash, tar and water from the fire hoses. Many homeowners are surprised by the amount of fire damage restoration that is done, especially since there are also chemicals left from the fire retardants that spread throughout the home. We implement the most comprehensive services in the industry to get your home back to its original state, which means we will get your property smelling fresh and looking great again. With our use of top of the line equipment and eco-friendly cleaning agents, our fire damage restoration Miami staff works quickly to get your home back to you as quickly as we can. If water overflows from the fire extinguishing hoses and damages your home, then our fire damage restoration Miami workers want homeowners to reach out to us to have them begin implementing drying and cleanup services. Having our fire damage restoration Miami techs will pump the water out of your home quickly to decrease permanent damage and mold growth, especially since our experts know that it only takes 24 hours for spores to start developing into an infestation after they have been exposed to moisture. You can count on our fire damage restoration Miami professionals to be at your doorstep quickly to begin conducting an inspection of your home or business, which will greatly minimizes the chances of a fungi growth. Our team are licensed, bonded and insured to get your home free of all moisture, smoke and ash, so call our fire damage restoration Miami staff the moment after the fire fighters have finished putting out the flames. So, if your household has just recently survived a fire, call our fire damage remediation Miami techs today and we can rid your home of smoke smell, fallen ash, and fire damage restoration, leaving it looking even more beautiful than ever. Our fire damage restoration Miami team wants to make this whole ordeal as easy as possible, which is why our staff goes the extra mile to help you with every aspect of the fire damage restoration restoration process. 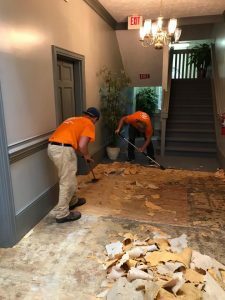 Even though when our workers arrive on the job we put all of our focus on repairing any fire damage, the main concern of our fire damage restoration Miami members is to provide you with a high level of customer service. Even though our fire damage restoration Miami experts focus on getting the home repaired after a fire emergency, our professionals care about the well being of the customer above everything else. Once we arrive on the scene we will reassure the homeowner that our fire damage restoration Miami staff can and will take responsibility for everything from that moment on. As overwhelming as a fire disaster may be, our fire damage restoration Miami staff will be there to answer any questions and calm any concerns you may have the moment you have them. 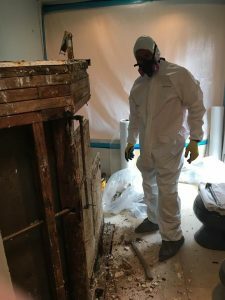 Our fire damage restoration Miami pros are sensitive to the fact that it is never a good day when you need the help of our crew, so we will do what we can to handle all the logistics of the remediation for you. Our entire operation has many years of experience working with all types of insurance companies, so you can trust our fire damage restoration Miami workers to file your claim for you. A major part of the remediation process is filing your insurance claim, and in order to do this correctly, our fire damage restoration Miami technicians find it important that you understand what exactly your policy covers. Our technicians are trained to successfully complete all the renovation work done on your home, as well having our fire damage restoration Miami agents assist you with your insurance paperwork. Our fire damage restoration Miami pros do this by offering around the clock customer service to all of our homeowners, making it possible for us to help you with any aspect of the job, from the home repairs to filing your insurance claim. Our fire damage restoration Miami specialists know that if you have never used it before, it can be confusing to understand what your policy covers. Every policy is different, but our agents have many years of experience working with all types of insurance companies. Even if everything isn’t covered under your policy, our fire damage restoration Miami members offer affordable prices for all of our fire and smoke damage restoration services, making it easy for you to to solicit our services. To make things easier on you, our fire damage restoration Miami pros will file your claim for you, giving you the best shot at full coverage. Even if your policy does not provide you with the most optimal financial aid, you can trust that our fire damage restoration Miami crew always offers affordable prices on all of our services. Call our fire damage restoration Miami agents at 911 Restoration of Miami immediately after the fire fighters have put out the flames, and we will do whatever it takes to give your home the fresh start you deserve.